How Aretha Franklin made Sam Cooke’s greatest song her own. Aretha Franklin poses for a portrait, circa 1967. This is an edited excerpt from Black Resonance: Iconic Women Singers and African American Literature, presented as part of the Slate Academy series Pop, Race, and the ’60s. Emily Lordi talked about Aretha Franklin and Dusty Springfield on Episode 2 of the series. Here, she discusses Franklin’s cover of “A Change Is Gonna Come” and some of Franklin’s other recordings. Aretha Franklin’s version of Sam Cooke’s “A Change Is Gonna Come,” in which she accompanies herself on piano, begins with a short prelude: “There’s an old friend that I once heard say/ something that touched my heart,/ And it began this way.”1 This setup seems like a corny show tune convention. But when Franklin launches into the first line of the song, “I was born,” with a heart-swelling ornamentation around the word born, we know that a tour de force is on the way. Because of this introduction, as well as the “he said”s that Franklin interjects into the lyrics (“he said, ‘it’s been a long time coming …’”), Matt Dobkin claims that Franklin creates a “meta-song” that depoliticizes Cooke’s civil rights anthem. 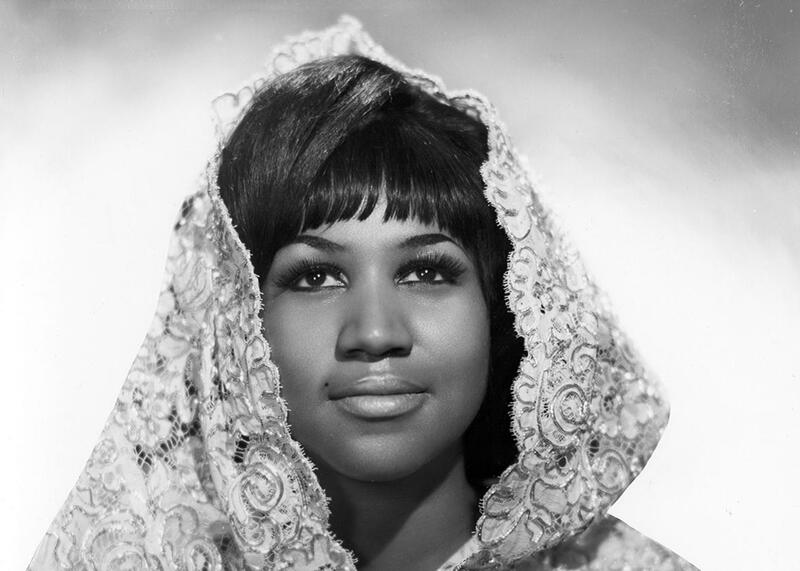 According to Dobkin, Franklin’s “Change” is a personal tribute that finally allows Franklin to identify with her idol: “In effect, the song is Aretha’s artistic opportunity to become Sam Cooke, which in a sense had been her crossover goal all along.”2 A comparison of Cooke’s and Franklin’s recordings makes this interpretation untenable. While Franklin follows Cooke’s lead in omitting the song’s most topically political verse—“I go to the movie, and I go downtown/ somebody keep telling me, ‘Don’t hang around’ ”3—it is not the case that she creates a meta-version of “Change” that renders it a mere personal tribute. Nor is it true that Franklin’s framing narrative subordinates her version to Cooke’s. On the contrary, Franklin’s decision to begin with the pretext of ventriloquizing Cooke dramatizes the process by which she makes the song her own. She performs this “changing of the guard” when she switches the gender of the narrator: “I went to my brother,/ And I asked him, ‘Brother, could you help me please?’/ He said, ‘Good sister, I’d like to but I’m not able …’ ” Franklin’s “good sister” is her own addition; Cooke’s interlocutor does not say anything in response to the request for help. This new “sister” marks the moment when Franklin assumes the “I” of the song. This is not what Cooke “said,” and indeed Franklin ceases to interject “he said” into the lyrics from this point on. It is fitting that Franklin performs this changeover in the bridge, the peak of musical tension and drama before the last verse. This makes the bridge not only a point of musical departure or variation but also a place of passing over and through, from Cooke’s song to Franklin’s version thereof. While Franklin’s range sets her apart, her use of the chest voice itself unites her with others, because this is the register in which most people speak. Franklin’s singing stays unusually close to speech registers—closer than singers with a less extensive chest voice range, who must shift into their head voices to reach the notes she reaches, and certainly closer than soprano and falsetto singers, who work primarily in their upper range. Her contralto singing therefore produces a curious form of what we might call audio-sympathy: We are at home speaking in this range, but very few people can sing in it (well or otherwise). Sometimes! … I’ve had to cry all night long, yes I did! Sometimes! … I had to give up right for what I knew was wrong. A change has come . . .
Franklin’s use of the past tense here marks another revision to Cooke’s lyrics: Cooke consistently sings “a change is gonna come.” Franklin’s revision makes sense, however, to the extent that it self-reflexively signifies the musical changeover she has performed. Reprinted from: Lordi, Emily J., Black Resonance: Iconic Women Singers and African American Literature, 188–193 and 198–201. New Brunswick: Rutgers University Press, 2013. Copyright © 2013 by Emily J. Lordi. Reprinted by permission of Rutgers University Press. 1 Aretha Franklin, “A Change Is Gonna Come,” I Never Loved a Man the Way I Love You (Atlantic, 1967). 2 Matt Dobkin, I Never Loved a Man the Way I Love You: Aretha Franklin, Respect, and the Making of a Soul Masterpiece (New York: St. Martin’s Press, 2004), 178–179. 3 This verse was included on the 1963 version of “Change” that Cooke donated to The Stars Salute Dr. Martin Luther King, an LP designed to raise money for the Southern Christian Leadership Conference. When it came time to release “Change” as a single, however, the song was about 30 seconds too long; Cooke’s biographer Daniel Wolff suggests that RCA producers pressured Cooke to remove this particular verse (Wolff et al., You Send Me: The Life and Times of Sam Cooke [New York: Quill, 1995], 314). 4 Giovanni and Walker, A Poetic Equation, 79; 80. 5 Lara Pelligrinelli, “The Song Is Who? : Locating Singers on the Jazz Scene” (Ph.D. diss., Harvard University, 2005), 285. 6 Pearl Williams-Jones, “Afro-American Gospel Music: A Crystallization of the Black Aesthetic,” Ethnomusicology 19.3 (September, 1975): 381. 7 Aretha Franklin: The Queen of Soul, screenplay by Nelson George, ed. Jody Sheff (A*Vision Entertainment, 1988). 8 Anthony Heilbut, The Gospel Sound: Good News and Bad Times (1975; New York: Limelight Editions, 1997), x. 9 Erik Leidal, “Aretha Franklin’s ‘Mary, Don’t You Weep’: Signifying the Survivor in Gospel Music,” GLSG Newsletter 9/2 (October 1999): 5. 10 Aretha Franklin, “I Never Loved a Man (The Way I Love You),” I Never Loved a Man the Way I Love You. 11Aretha Franklin, “I Say a Little Prayer,” Aretha Now (Atlantic, 1968). 12 Aretha Franklin: The Queen of Soul. 13 Joseph Roach, Cities of the Dead: Circum-Atlantic Performance (New York: Columbia University Press, 1996). See Chapter 4. 14 Part of Franklin’s interview is quoted in Aaron Cohen, Amazing Grace (New York: Continuum, 2011), 36. Her statement is worth citing in full: “The black revolution certainly forced me and the majority of black people to begin taking a second look at ourselves… . It wasn’t that we were all that ashamed of ourselves, we merely started appreciating our natural selves, falling in love with ourselves just as we are” (qtd. in Craig Werner, Higher Ground: Stevie Wonder, Aretha Franklin, Curtis Mayfield and the Rise and Fall of American Soul [New York: Crown, 2004], 174).